During The PMO Conference Chris Garibaldi presented Deloitte’s Project Portfolio Management framework. After the conference Chris sent me a copy of the book he wrote in 2015 together with Jason Magill, Matthew Ku, Michael Ravin and Christopher Martin. In this post you find a review of this book: PPM! 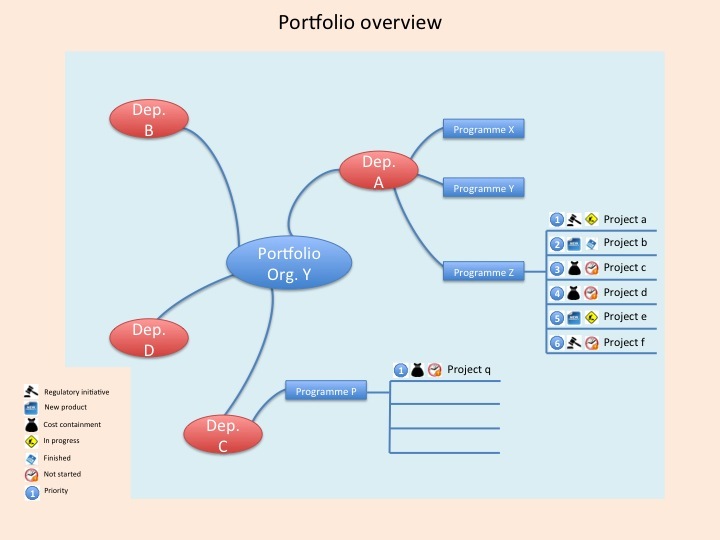 Manage Your Organization Masterfully with Project Portfolio Management. The document is divided into seven chapters explaining the value, the PPM framework, PPM maturity, PPM transformation, PPM implementation, PPM technology and their view on PPM’s future. Chapter 1 explains the value of PPM, why do we need to have PPM. The value can be found in the following areas: portfolio alignment (doing the right projects), in-flight portfolio health (will the projects deliver value), business partner culture, and the gift of time (efficient PPM processes, management oversight). The second chapter explains Deloitte’s PPM framework in detail. In the model, the PPM “Racetrack”, you see four primary capabilities: Demand Management, Project/Program Management, Result Management and Portfolio Management (Resource Management, Financial Management and Governance). All four capabilities complement each other through a cyclical flow of information. Chapter 3 puts the PPM Maturity in the spotlights by using Deloitte’s D.MAP PPM Assessment Steps and Roadmap Development. The model starts with a current state assessment followed by a gaps and future needs identification resulting in a future state incremental roadmap. In the assessment the five capabilities (resource management is now seen as a separate one in comparison with the four capabilities of the PPM framework) are being analyses. Like many maturity models we see five maturity levels (initial/ad hoc, defined, managed, measured and optimised). The PPM transformation is explained in chapter 4. Without organisational adoption of the PPM framework you will not get the benefits. Key are the people.They are the users, suppliers and benefactors of PPM. In this chapter the authors give you an oversight of concerns and perceptions of project managers and project participants, concerns from program managers and resource managers as well as requirements and conditions to be understood and supported by executive leaders. The chapter ends with some scenarios encountered by frustrated clients: heeding the dashboard luring call, sending a less-seasoned to do a senior leader’s job, you can worry about organisational adoption tomorrow, you just want something that comes out of the box, and ignorance is a bliss. In chapter 6 we get an eight step approach for a long-patch PPM tool selection. The final chapter elaborates a little bit on PPM’s future, being self-evident due to the value it brings. The document gives a good overview of Deloitte’s Project Portfolio Management framework.What I miss is some advice how to cope with business agility, many organisations are implementing permanent agile trams using scrum, kanban, devops etc. How to give the work these self organising teams have to perform a place in this PPM framework. This is at this moment also lacking in industry best practices like Management of Portfolios (MoP, Axelos) and The Standard for Portfolio Management (PMI). A comparison with these methods could be valuable too. If we look at traditional portfolio management, like MoP or SfPfM, the focus is on doing the right projects and programmes in the right way and delivering business benefits. These are temporary set-ups to help the organization to change. I would say the traditional change in the perspective of change the business and run the business. 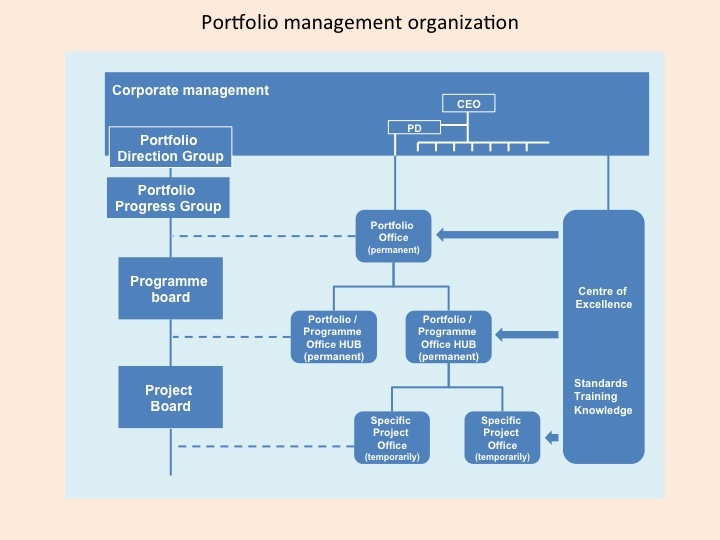 See attached figure 1 which shows the position of portfolio management in this traditional world according tot he MoP framework. We see, more and more, organisations benefit from the fact to keep multi disciplined teams together to deliver more often and faster changes to existing products, systems and processes to accommodate business agility. These teams become permanent and will have their position in the organizational structure. This means these teams become part of the Business as Usual / Run the business environment. In this case, the work to be done, the functional changes, additions, regulatory changes etc. will be brought to these teams. The teams can focus on the development or become DevOps like teams. And this is a complete mind shift if I compare this with the traditional projects and programmes where the people are brought to the work itself. I expect that the number of projects and programmes will decline because much of needed changes will be handled by these permanent teams. I don’t believe projects and programmes will disappear completely. For transformations, developing new product/market combinations, organizational and/or behaviour changes etc. we still need these temporary projects and programmes but after delivering, and closing these projects/programmes, new permanent teams can be established to maintain and operate the results. In these situations, we can still benefit a lot from frameworks like PRINCE2 Agile, AgilePM, MSP, RPM, and AgilePgM. We see an enormous increase in the usage of agile delivery frameworks like Scrum by these permanent delivery teams. We also see an explosion of the number of these teams and this asks for a certain level of coordination between these teams. Delivery of specific changes may ask for orchestration between these permanent delivery teams. The usage of Scrum of scrums is not enough and new frameworks to help with this coordination are needed. Frameworks like Nexus and SAFe are developed to support this orchestration. Like we had in the past, also for these permanent teams we need to prioritize the work to be done. At the lowest level, the development team itself, a product owner can do the prioritization, and if there are a few teams a group of product owners can discuss and agree about the prioritization among the teams. 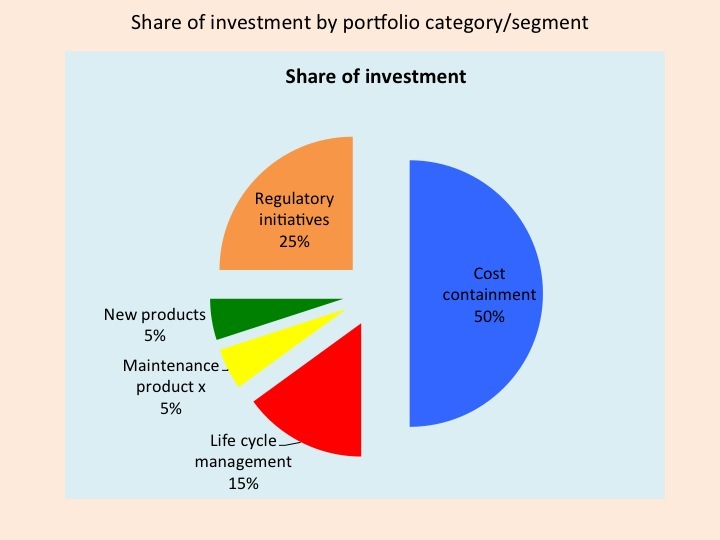 But when we have more and more teams there is definitely a need for portfolio management at the highest level. The SAFe framework contains a portfolio level to divide budget between different value streams based on the alignment with strategic themes. Within the value streams epics are prioritized by using backlog and using simple business cases or mechanisms like Weighted Shortest Job First (preference for those epics with the shorter duration and higher Cost of Delay). As a result, we will have two portfolio management mechanisms. One for the temporary bigger one-time changes in the Change the business organization and one for the changes managed by the permanent delivery teams in the Run the business organization. I would suggest to integrate these two mechanisms into one portfolio office. In figure 2 I changed the original set-up based on MoP and suggest to integrate the portfolio part of SAFe with MoP. It still starts with Strategic / Business Planning. The Portfolio Office needs to be closely aligned with this strategy team. Based on the strategy there will be the understanding of strategic themes (SAFe) or categories (MoP). Here we also need to understand which value streams in the organisation are supporting the strategy. As a result, one or more permanent teams can be dismantled or added. In the traditional set-up portfolio management was only looking at Change the business and prioritized the work to be done by the Programme and Project Management organization. Now we see that also the work to be done by the Development / DevOps teams as part of Run the business needs to be prioritized. During the Understand practice (MoP) we will look at all traditional changes and Epics and categorize them across buckets for the traditional (temporary) world as well as the Backlog for the (permanent) world. Following the SAFe framework these Epics can be assigned to the corresponding Value Streams and within the Value Streams (outside the portfolio Office) to the corresponding Agile Release Trains and from there, via the Program Increment Planning meetings to the delivery teams. I am looking forward to your ideas regarding this set-up. Many people are looking for Agile Portfolio Management. Maybe this article can trigger a discussion and as a result an outline of Agile Portfolio Management can be co-created. I received a mail from the Boston Consulting Group. Among other topics they highlighted their DICE tool to access and set up change initiatives. The DICE framework is a tool originally developed by Perry Keenan, Kathleen Conlon, and Alan Jackson (all current or former Partners at The Boston Consulting Group). 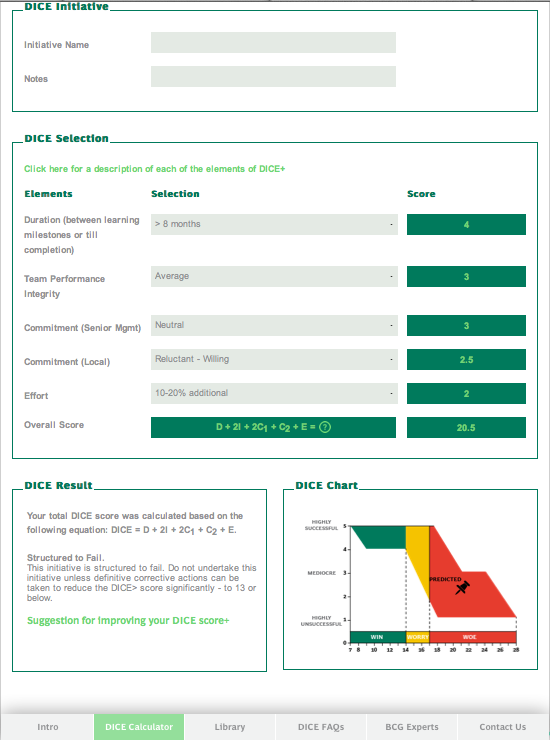 By using this DICE tool, BCG claims that you can dramatically improve the odds of success. 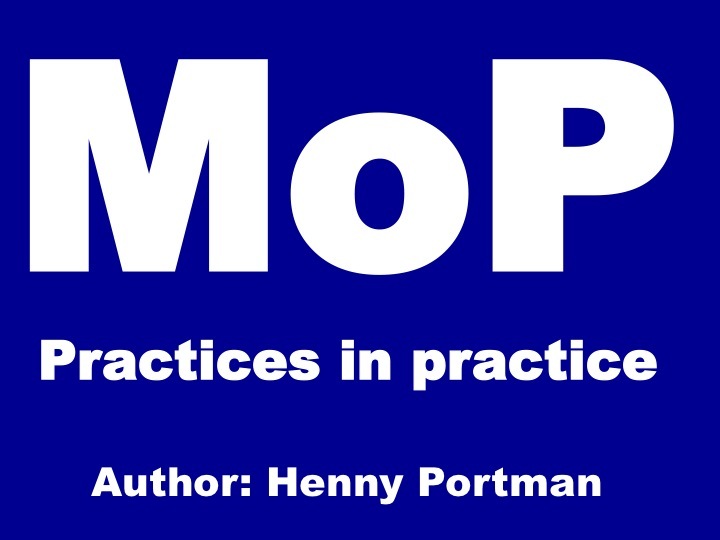 In one of my previous posts regarding MoP practices in practice I already made a reference to this tool. It’s a very simple tool to position your project on the DICE chart. Based on five questions you get an indication if your project is positioned as win, worry or woe. A project in the woe area is structured or guaranteed to fail. The tool gives suggestions for improving your DICE score. And of course it’s much more important to have a conversation about the scores and what you can do about it than only look at the final score itself! In the embedded video from Perry Keenan you get an intro to the DICE tool. If you go to the BCG DICE website you can get access to the DICE calculator, DICE FAQs and a library with the original HBR article The hard side of change management. You will also find a set of small videos explaining the assessment of the DICE score, Duration, Integrity, Commitment and Effort and the setup of a DICE workshop and the DICE portfolio. Strategic initiative management: the PMO imperative (The role of the PMO). Conclusion: a simple tool, be accompanied by many relevant documents and videos. It is shared by BCG and can be very helpful in assessing your own portfolio and to trigger conversations about the focus in your portfolio and individual interventions for your most important projects! It’s a good start to have your processes in place to accommodate the practices of the portfolio definition and delivery cycles. But you need more. If there is no commitment of senior management it will be a mission impossible to accomplish the portfolio goals. Your staff must show involvement, looking for new opportunities, new innovations, willing to take decisive actions to solve problems because they want to work for a successful organisation, or in other words they must show productive energy. 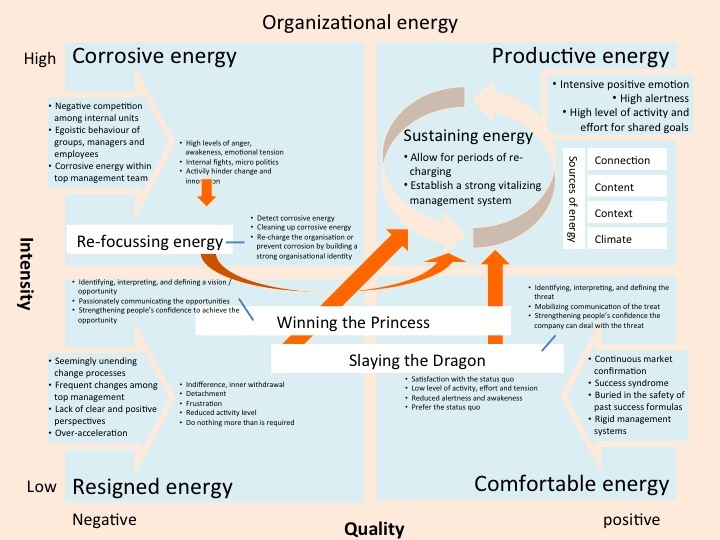 MoP describes the energized change culture as one of the principles and sees this organization energy as the linking pin between the two portfolio management cycles. The energy is the “fuel” for change and performance. Being successful is all about people and in that sense it’s a pity the MoP manual spends just a few pages on this topic. Searching on the Internet gave some interesting presentations and articles from Vogel. What is the energy state of your company?